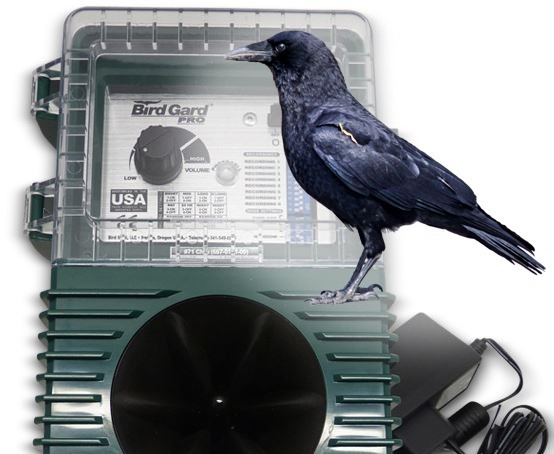 Crow scarer Bird Gard Pro is intended rather to protect buildings and facilities. 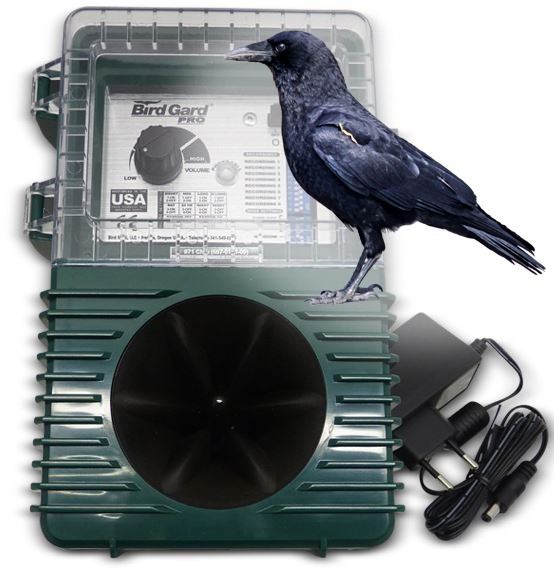 The device makes crow’s alarm call that frightens birds. Operating range without additional speakers is up to 0.6 hectares.